A project of this size would gain around £22,000 every year for 20 years, index linked to inflation. 3-4 years (combining RHI income & fuel cost saving). Walkern Hall is an imposing Georgian Manor House set in an estate with gardens, woodlands and extensive parkland. It also contains two flats, a refurbished coach house, stables and an estate office. The house and grounds are regularly used for private parties, events, weddings, film locations and photo shoots. Guest comfort at the venue is paramount, which necessitates a reliable, high and consistent supply of heat. The client wanted to reduce ever-increasing and significant oil bills for heating several separate buildings with individual oil boilers. The fuel store and boiler house had to be located be in a disused outbuilding sited in between the main buildings, linked by underground heat main. 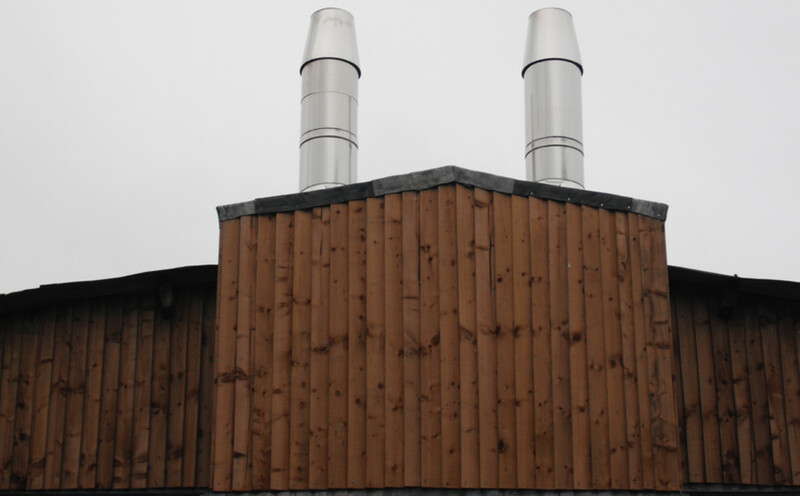 Treco supplied and installed two 99kW Guntamatic Powerchip biomass boilers, commissioned to burn wood chips. The boilers were installed in cascade, complete with two 1,500 litre buffer tanks. Twin fuel stores are located in an existing stable block at ground level and they automatically feed wood chips into the boilers situated in a neighbouring building. Heat is supplied to the main house via an underground heat main which Treco supplied and installed. As well as delivering fuel cost savings of 50%-80%, the installation is now accredited into the Renewable Heat Incentive (RHI). This will enable them to gain payments per kWh of green heat generated by submitting quarterly meter readings to Ofgem. A project of this size would gain an average of £22,000 every year for 20 years, index linked to inflation.